On a cpanel server, i need to run a web application using docker container. Application running side docker container listening on port 8000 on localhost. For a web site to serve traffic from this docker container, we can use Apache mod_proxy, this is enabled by default on cpanel servers. For the site, you need to create reverse proxy, create a folder. NOTE: Replace CPANEL_USER and DOMAIN with your actual cpanel user name and domain name. You can find/verify this path by looking virtual host entry for your domain name in /etc/apache2/conf/httpd.conf file. By default this “Include” line will be commented. Once you put a file and rebuildhttpdconf, this line get uncommented. 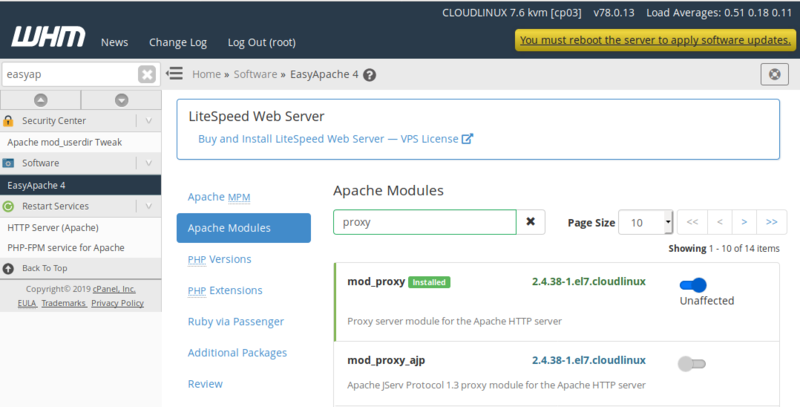 ProxyPass "/" "http://localhost:8000/" ProxyPassReverse "/" "http://localhost:8000/"
Now if you check Apache config file (/etc/apache2/conf/httpd.conf), you will see included in Apache virtual host entry.